Project managers are responsible for managing the reward systems that encourage team performance and extra effort. One advantage they have is that often project work is inherently satisfying, whether it is manifested in an inspiring vision or simple sense of accomplishment. Projects provide participants with a change in scenery, a chance to learn new skills, and an opportunity to break out of their departmental cocoon. Another inherent reward is what was referred to in The Soul of a Nevi Machine as “pinball”—project success typically gives team members an option to play another exciting game. Still, many projects are under appreciated, boring, interfere with other more significant priorities, and are considered an extra burden. In some of these cases, the biggest reward is finishing the project so that team members can go back to what they really enjoy doing and what will yield the biggest personal payoffs. Unfortunately, when this attitude is the primary incentive, project quality is likely to suffer. In these circumstances, making use of external reward systems will play a more important role in motivating team performance. Most project managers I talk to advocate the use of group reward systems. Because most project work is a collaborative effort, it only makes sense that the reward systems used would encourage teamwork. Recognizing individual members regardless of their accomplishments can distract from team unity. Project work is highly interdependent, so it can become problematic to distinguish who truly deserves additional credit. Cash bonuses and incentives need to be linked to project priorities. It makes no sense to reward a team for completing their work early if controlling cost was the number one priority. One of the limitations of lump-sum cash bonuses is that all too often they are consumed by the household budget to pay the dentist or mechanic. To have more value, rewards need to have lasting significance. Many companies convert cash into vacation rewards, sometimes with corresponding time off. For example, there is one firm that rewarded a project team for getting the job done ahead of schedule with a four-day, all-expenses-paid trip to Walt Disney World for the members’ entire families. That vacation not only will be remembered for years, but it also recognizes spouses and children who, in a sense, also contributed to the project’s success. Similarly, other firms have been known to give members home computers and entertainment centers. Wise project managers negotiate a discretionary budget so that they can reward teams surpassing milestones with gift certificates to popular restaurants or tickets to sporting events. Many project managers have set up different group reward systems. Some examples can be: a dinner party, football night, etc. Impromptu pizza parties and barbecues are also used to celebrate key accomplishments. Sometimes project managers have to use negative reinforcement to motivate project performance. For example, the story of one project manager who was in charge of the construction of a new, state-of-the-art manufacturing plant. His project team was working with a number of different contracting firms. The project was slipping behind schedule, mostly because of a lack of cooperation among the different players. The project manager did not have direct authority over many key people, especially the contractors from the other companies. He did however, have the freedom to convene meetings at his convenience. So the project manager instituted daily “coordination meetings,” which were required of all the principals involved, at 6:30 A.M. The meetings continued for about two weeks until the project got back on schedule. At that time the project manager announced that the next meeting was canceled, and no further sunrise meetings were ever scheduled. While project managers tend to focus on team rewards and make use of group reward systems but, there are times when they need to reward individual performance. This is done not only to compensate extraordinary effort but also to signal to the others what exemplary behavior is. Letters of commendation. While project managers may not have responsibility for their team members’ performance appraisals, they can write letters commending their project performance. These letters can be sent to the workers’ supervisors to be placed in their personnel files. Public recognition for outstanding work. Superlative workers should be publicly recognized for their efforts. Some project managers begin each status review meeting with a brief mention of project workers who have exceeded their project goals. Job assignments. Good project managers recognize that, while they may not have much budgetary authority, they do have substantial control over who does what, with whom, when, and where. Good work should be rewarded with desirable job assignments. Managers should be aware of member preferences and, when appropriate, accommodate them. Flexibility. Being willing to make exceptions to rules, if done judiciously, can be a powerful reward. Allowing members to work at home when a child is sick or excusing a minor discretion can engender long-lasting loyalty. We reiterate that individual rewards should be used judiciously, and the primary emphasis should be on group incentives. Nothing can undermine the cohesiveness of a team more than members beginning to feel that others are getting special treatment or that they are being treated unfairly. Camaraderie and collaboration can quickly vanish only to be replaced by bickering and obsessive preoccupation with group politics. Such distractions can absorb a tremendous amount of energy that otherwise would be directed toward completing the project. 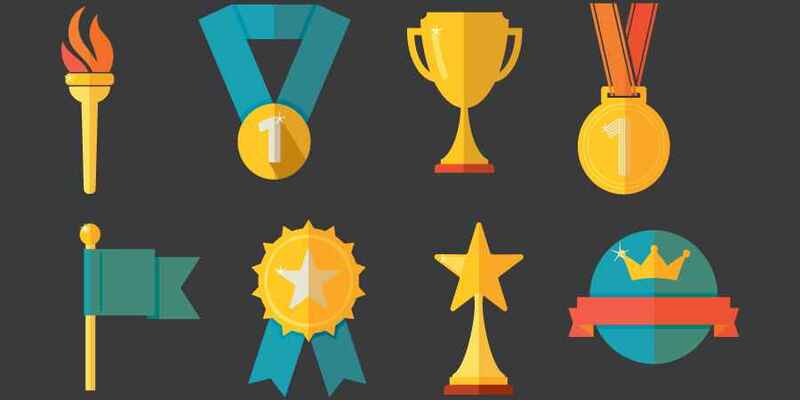 Individual rewards typically should be used only when everyone in the team recognizes that a member is deserving of special recognition. Short conclusion: you as a project manager should be aware of the various reward systems available to you and use them wisely to create a balance between group and individual rewards.